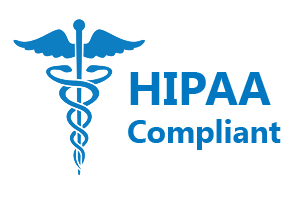 Secrata is the answer for healthcare organization compliance with stringent HIPAA regulations for securing data storage and transfer. Healthcare organizations are required to maintain compliance across a vast landscape of providers, doctors, administrators and multiple devices including desktops, laptops, tablets and smart phones. Transferring sensitive and private information, known as electronic protected health information (ePHI) using FTP, email attachments, and even many secure file sharing applications does not ensure proper security or regulatory compliance. Enter Secrata for unmatched security and data sovereignty. Secrata ensures that you achieve data security and compliance in every workflow. Secrata enterprise file sync & share is the most secure EFSS that meets the tight privacy requirements of HIPAA and allows the comprehensive, secure sharing of information that is essential in today’s dynamic healthcare environment. With Secrata, ePHI can be shared securely across enterprises, from different devices, and stored in different locations. Information and files are chunked, each chunk is encrypted with unique keys and then shared in invitation-only workspaces. Data is protected when accessed, managed, transferred, and stored. Secrata is the trusted cross-enterprise solution that leverages on-site file repositories, cloud file storage services, and hybrid solutions and services, securely and reliably.